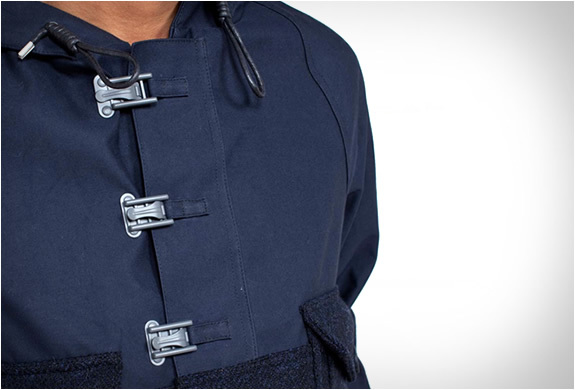 The Cameraman Jacket by Nigel Cabourn has been around for some time, but it´s one of those pieces that never goes out of style. 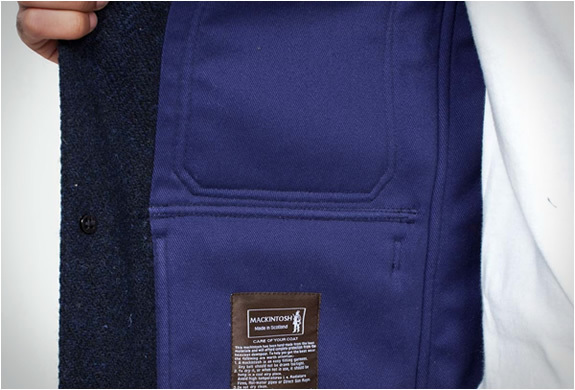 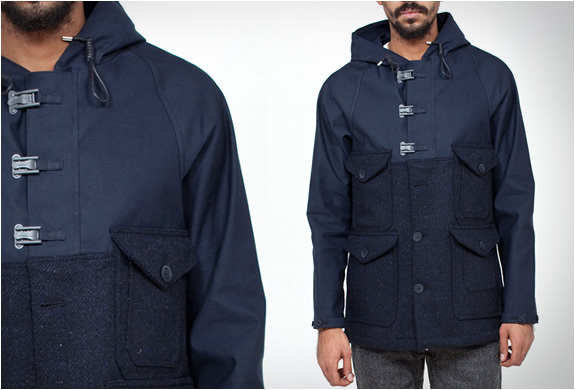 The jacket made in England features upper waterproof Mackintosh twill and lower body made from heavy Harris Tweed. 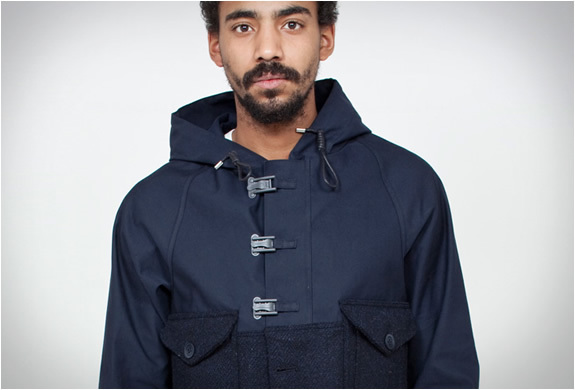 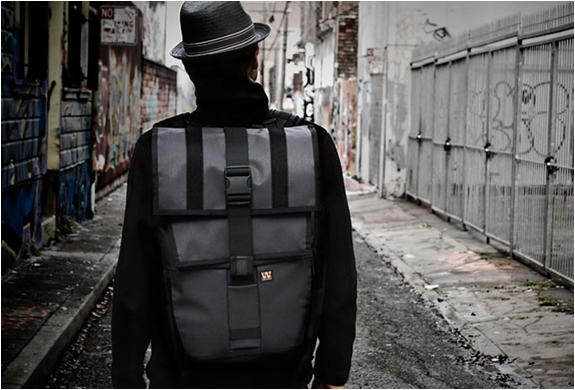 It has 6 front pockets, air holes under the arms and a waxed string to tighten the hood. 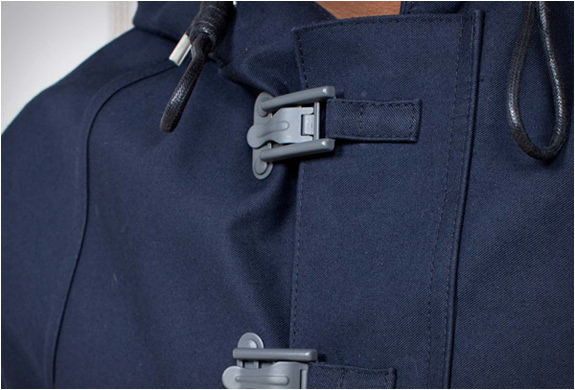 We love the military clasp top fastening detail.